Having recently celebrated a birthday I've increased the ‘annual salary’ that I’ll need my wealth to provide by the current rate of inflation. 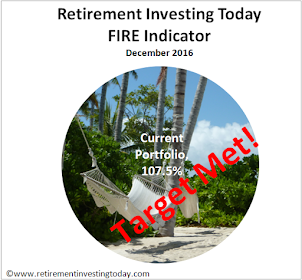 This is a strategy requirement and something I've done every year since I started on my Retirement Investing Today journey back in 2007. Interestingly it’s pushed the ‘annual salary’ required upwards by 26% nicely highlighting the damage inflation can do to you if you fail to consider it. Even with this change my financial position spreadsheet, which is updated weekly, still tells me I have less than 2 years to go before financial independence (FI) beckons. It gets closer every day. My portfolio is also largely based around Modern Portfolio Theory (MPT) with 86% of all current assets being index trackers, cash or NS&I Index Linked Savings Certificates. I've mentioned it previously but this approach is walking me into a conflict I'm not so happy with and one I want to ideally fix before FI. I therefore have less than 2 years to sort it out. I'm calling myself Financially Independent (and may even Retire Early) when the ‘annual salary’ I require equals 2.5% of my total wealth. The conflict is that ideally I don’t want to have the psychological problem of having to sell down assets to live. Instead after buying a home for my family I’d like enough dividends spinning off to cover my spending plus a little bit extra that I can use to build a safety buffer during the good times to help smooth out the future guaranteed economic downturns. I’d therefore like my annual dividends to be about 3% of portfolio value on FI day. At current market valuations, after removing the home funds, my current portfolio is spinning off 2.5% of current asset value in trailing dividends. I'm therefore still trying to close a gap down of 0.5%. One of the methods I'm employing to try and do this is through a High Yield Portfolio (HYP) which I've been building since November 2011, now constitutes 7% if my total wealth and is considered a part of the UK Equities portion of my total portfolio. While this is helping to increase my dividend percentage, currently 4.8% of HYP value vs 2.5% for the whole portfolio, it’s an active investment strategy and thus it fills me with under-performance trepidation compared to simple tracker style investing. Even though I can tell you that since I started the HYP dividends have always exceeded those of the FTSE100 (4.8% trailing today vs 3.3% from the FTSE100), and having unitised my HYP at inception capital growth has also been on the right side of the equation (38% vs 25% for the FTSE100), I'm making no conclusions from my HYP as a 3 year time period is not significant when measured against the rest of my life. the total return (capital growth plus dividends) for the pyad HYP is trouncing a FTSE100 tracker. Will my HYP or that of pyad’s continue to beat a simple FTSE100 index tracker? Who knows and that’s why we all need to do our own research however personally I'm going to continue to build mine given it’s helping to close my dividend gap while also not appearing to perform worse than a tracker. I have been following PYAD'S hyp1 on Motley Fool for a few years, as you say, its good to see how a 'real' portfolio would work although I believe this is a hypothetical experiment. The portfolio started with just 15 shares and, for me, I think this does not quite provide sufficient diversity - maybe 20 to 25 would get the job done better. Secondly, it is clear that a 'no tinker' portfolio can lead to a very unbalanced situation. Several shares are no longer paying dividends and we are left with a situation where around 1/3 of the portfolio is providing 2/3 of the income - I think I would be concerned if I were retired and relying on this portfolio to pay the bills! Plenty of food for thought! Agree with you on 15 shares not being enough. If the portfolio moves in line with 'averages' I expect I'll have 27 or so companies by the time I'm FI. I also share your concern about how unbalanced the portfolio has become over that period. 22% of income is coming from BATS alone. I'll certainly be tinkering and already having some guidelines defined. For example, once a share reaches 150% of median I intend to take some off the table. Thanks for the Luni link. It's a long one so I'm off to grab a cup of tea and a quiet spot. When making comparisons, it is very important to note that Pyad's HYP(1) was actually selected 14 years ago and run in public since, whereas Luni's Baskets (of 7 or 8) trusts were constructed with some hindsight. I am not expert enough to say when Luni's baskets were first constructed, but it was some years after HYP1. This is not to say that the Baskets are inferior in any way, only that direct comparison is not entirely fair. Have to agree with Brodes here. I'm generally a fan of a lot of Luni's work - very educational generally plus I always learn a new word of two - but selecting a set of IT's based on past performance and then assessing that past performance against the HYP is comparing apples and pears not apples with apples. I'd have to agree with John (DIY UK) on the HYP over-concentration and "no tinkering" issues. Regarding capital gains, 14 years ago was dot-com bubble time, so comparing capital gains is not fair on the FTSE 100 as it had a ridiculously overvalued starting point. I would say plot the annual dividend payments of the FTSE 100 vs HYP1 from inception. That will give you a much better idea of progress than capital gains. As per my reply with John (DIY UK) I agree with your first line. Thinking aloud on your second point I'll disagree to be controversial. When the HYP was built and the FTSE100 was "ridiculously overvalued" nobody knew which way the market was going just as today nobody knows which market or share will win over the next 14 years. I do agree that PE10 or similar was screaming "ridiculously overvalued" but it's not a perfect correlation of future performance. Pyad therefore didn't know which route would win long term when he backed HYP. Therefore his performance is genuine when compared to the FTSE100. Your last sentence is an interesting thought. Sounds like a post opportunity to me. "the current rate of inflation": RPI, I trust? Anyway, what about using one of the dividend-oriented, passive ETFs or funds: "Dividend Aristocrats" etc.? Interesting you picked Dividend Aristocrats as an example. Top 10 holdings - SSE, BA, AML, CNA, CLLN, GSK, PSON, IMT, AZN, BATS. My fledgling HYP already has SSE, AML, GSK, PSON and AZN. My HYP doesn't have the 0.3% TER however. My better half already has CNA. As I've telegraphed in previous posts I'm still on the fence re fags and bombs covering BA, IMT and BATS. That just leaves CLLN. A lot of HYP'ers also seem to back them. I'm not sure what all the fuss is about. I see a company with falling revenues and insufficient cash flow to cover the dividends. Of course I could be wrong, they're in my watchlist, but I chose to pass over them. I am however considering an ETF to boost dividend yield within my International Equities. My research thus far has turned up VHYL as the likely choice. "My HYP doesn't have the 0.3% TER however." That's one reason why if I wanted Fixed Interest I'd simply buy a gilt, or a ladder of gilts. Buying a fund of gilts would seem daft. A fund for corporate bonds would make more sense. But whether it would make more sense than a combo of equities and gilts I don't know. @RIT, i've posted here before. Why not purchase some USA blue chip stocks like KO, GE, XOM, PG, JNJ etc you can easily generate a blended dividend yield of 3% with these. They also pay dividends quarterly and most are dividend aristocrats. I've always focussed on generating income from the start of my FI journey via UK shares, USA shares and European/EM dividend ETFs. I don't track indices. When my dividends > my expenses + 25% margin, I will be FI. My HYP forms part of the UK Equities portion of my portfolio so those shares are ineligible. That said as for US blue chips... As I mentioned above for the International portion of my portfolio I'm considering to start adding Vanguard's VHYL. This includes General Electric, Chevron (maybe XOM lower down), Procter & Gamble and Johnson & Johnson within it's top 10 holdings. 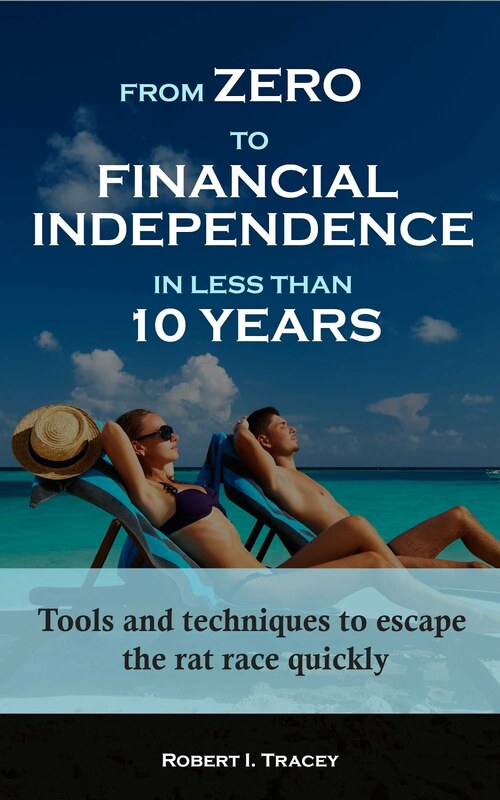 Awesome - although it brings some challenges with organising your investments, it must be pretty exciting to be 2 years away from financial independence. Good work! !